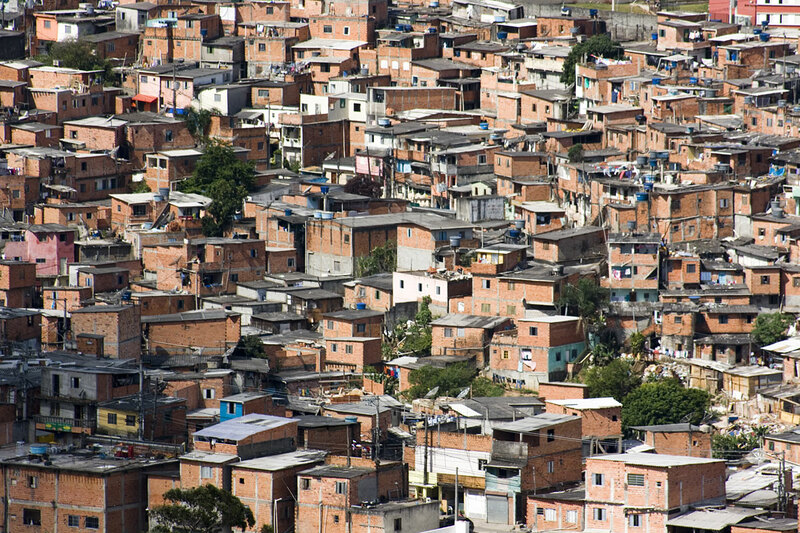 Brazil’s most populous city, among the largest on the planet, is one of the roughest gems you’ll probably ever visit. 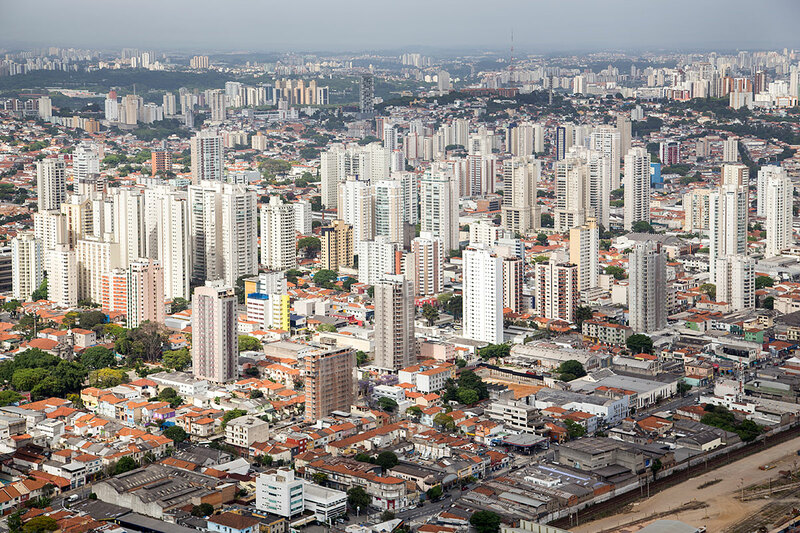 Enormously sprawling, congested, polluted, and chaotic to the max, São Paulo is a most intimidating city at first glance, but if you are willing to face the challenge, you’ll discover that this incredibly vibrant South American metropolis is actually one of its most interesting. 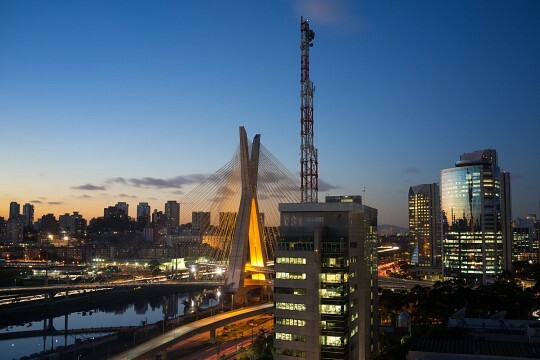 The great majority of foreign visitors opt to bypass São Paulo, preferring to spend their days in Rio de Janeiro instead. By consequence, São Paulo lacks the blatant tourist scene found in every major city on the continent. For many, this is an absolute breath of fresh air and one of the most enticing aspects of this city. What this city lacks in looks and superficial charm, it more than makes up for in substance and depth. When it comes to the arts, as well as clubbing and amazing culinary scenes, São Paolo is undoubtedly the most exhilarating city in all of Brazil. Enjoying all the exquisite food, double espressos, museums, underground raves, and art-house theaters takes quite some time, so make sure you have plenty of days to explore the city at length and you’ll discover a hidden secret. One which many other tourists miss. 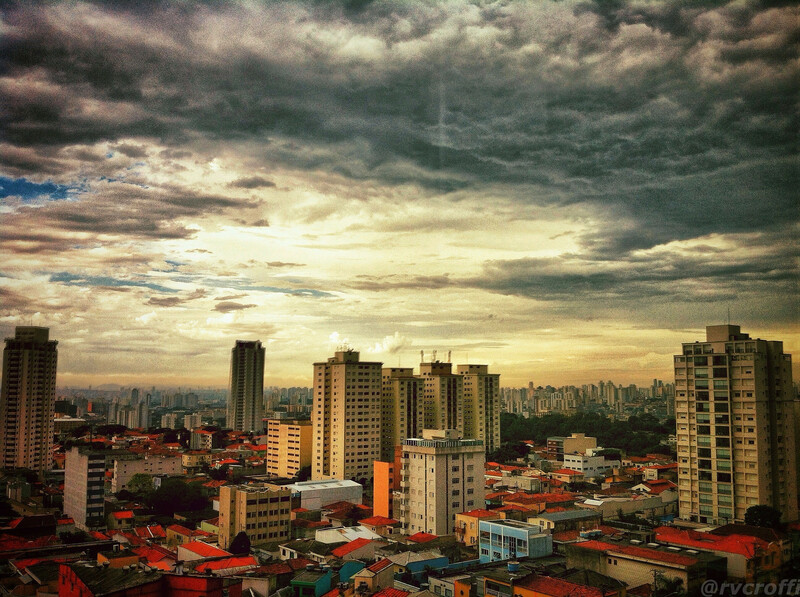 Like many major cities the world over, São Paulo is not a metropolis one needs to get ‘hopelessly lost in’ to appreciate. Quite the opposite. Places of interest are spread out far and wide, so having a city map and a list of intended attractions will go a long way in helping you take in the city’s highlights. Whether it be a restaurant, museum, nightclub, or market, one must know exactly where one wishes to go, and how one wishes to get there. This incredibly overwhelming city does not lend well to willy-nilly roaming. 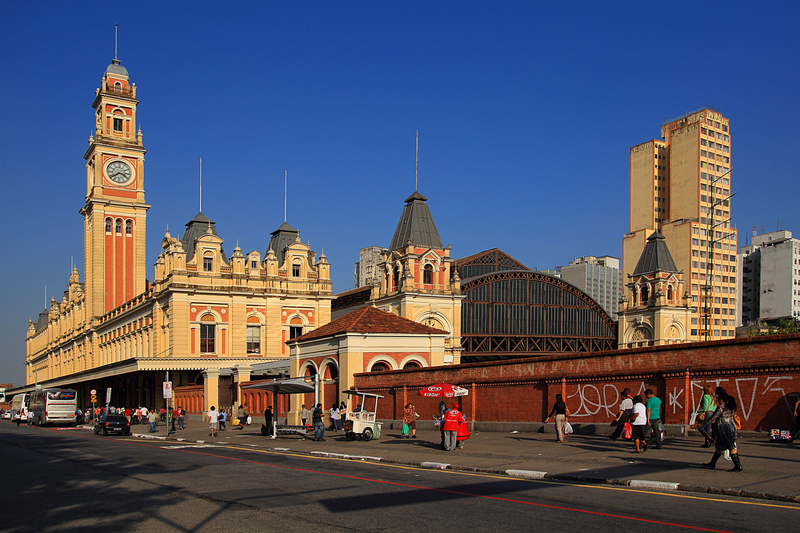 As an organised, modern settlement, São Paulo’s beginnings reflect those of every major city in Brazil. The first settlements here were those of Jesuit Missions in the early 16th century. The fervent Catholic missionaries’ main goal was to convert the natives (known as Guainas) and they reasoned that a town here, positioned between the sea (for easy ship access), arable land, and nearby river, would be an ideal base for their religious teachings. Interestingly enough, the memorial close to Ibirapuera Park is dedicated to the first ‘explorers’ who fought hard to expand the colony, but much literature from the time paints these foreigners as barbaric slave-masters. Much like Rio de Janeiro, São Paulo blossomed infinitely after gold was discovered in nearby provinces. The profits were reinvested into massive sugar and coffee plantations and, when the gold eventually dried up, agriculture took over the city’s economy. The enormity of demand for both crops led to a need of an immigrant workforce and, again much like in Rio, the ever-expanding city soon became a melting pot of cultures. Optimistic workers came from all over: from Germany, Italy, Japan, Greece, Korea, and China, among many other countries. It’s this very massive wave of migration that created the most multicultural city in all of the Americas. By the time the agricultural profits declined, industries had taken hold of the city. Nowadays, São Paulo is still a mighty powerful force in Brazil, home to more people, companies, industries, and cultures than any other. Every statistic about São Paolo is quite mind-boggling. Not only is the city home to almost 21 million people, but it also boasts over 150 museums, more than 400 theaters, over 12,000 restaurants, and almost 15,000 bars and clubs. If you stay here for a few days and can’t find something fun to do for an evening, then you’re obviously doing something very wrong. In a bid to help you discern the good from the average, here’s our list of the city’s very best highlights. A great first destination in the city, Avenida Paulista is the city’s busiest hub and wedged between the old and new parts of São Paolo. The contrasting architecture, and myriad of interesting galleries, museums, theaters, and shops makes it a great all-rounder and a spot in which to spend an entire day or two. This area's nightlife scene is one of the city’s best, with many trendy bars and gay nightclubs lining this avenue and its adjoining laneways. Head over to the Paulista Gardens on weekends, when you’ll discover the best flea and antiques market in all of Brazil. The most recognizable landmark in the city, the São Paulo Cathedral, or Cathedral of our Lady of the Assumption, is a very striking, early 19th-century neo-Gothic church. 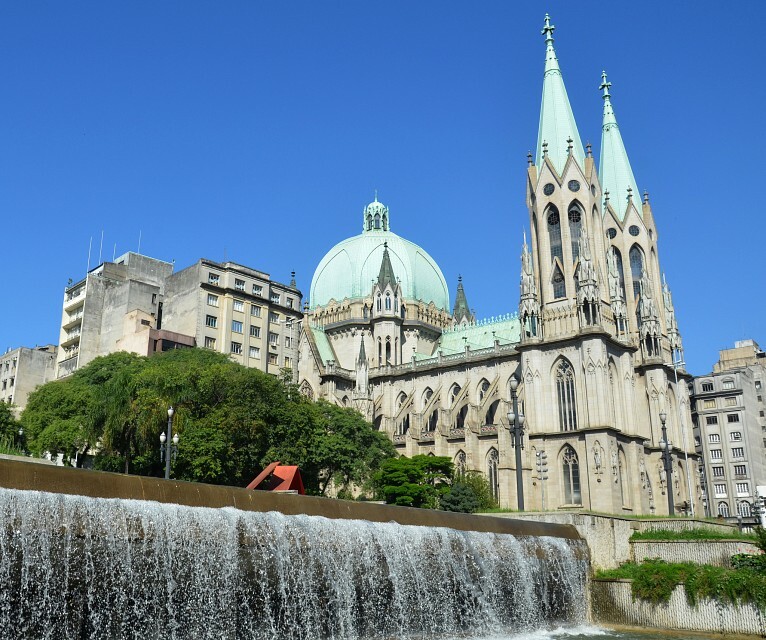 The largest in all of Brazil and one of the largest in the world, the São Paolo Cathedral sits at the heart of the historic center and spans for over 361 feet in length, almost 328 feet in height and boasts a 30-meter dome. The stunning colored stained glass windows and vast collection of priceless religious relics and artworks, make this the city’s most prominent cultural sight. Colloquially known as the Banespa Building, this late 1930s skyscraper was initially meant to house the country’s State Bank, but ended up being the most popular, Empire State Building-inspired landmark in the city. An observation deck accessible from the 33rd floor grants sprawling views of the enormous metropolitan area. On a crystal clear day, this is the best viewpoint in all of São Paolo by far. Do note, however, that although everything about this skyscraper is oversized, the observation deck is actually quite small, therefore only 5 people are allowed up simultaneously, for a limited time of only 5 minutes. Pick your day accordingly (i.e. stay away on Sundays!) and you may be able to squeeze in a couple more minutes into your visit. São Paolo’s love affair with all things New York City-related extends to its main park, which is the city’s answer to Central Park. 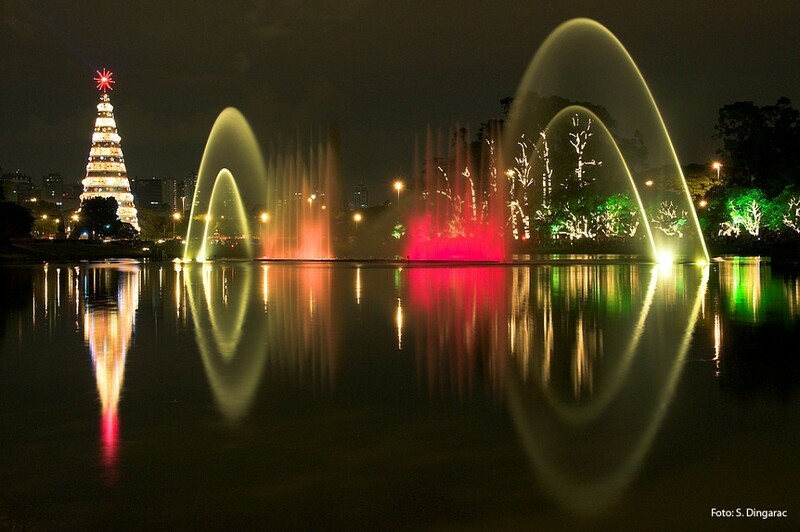 Renowned as much for its attractions (like the Ibirapuera Auditorium , Obelisk of São Paulo , and Planetarium), as for its stunning landscaped gardens, Ibirapuera Park is a gorgeous place in which to escape the bustle of the always-buzzing city center. A revered jogging and picnicking spot, the park is also home to the famous MAM, São Paolo’s Modern Art Museum. The most-visited park in the city, which is only one of over 70, stretches out over an impressive area of 1.8 million square meters. If it is true that fewer tourists add São Paulo to their Brazilian itinerary, then fewer still fail to add one of the world’s most magnificent symphonic halls to their São Paulo itinerary. Sala São Paulo , also known as the Julio Prestes Cultural Center, is a beautifully restored theater of such esteem that it is often compared to the Vienna State Opera House. The fact that it is found in one of the city’s poorest suburbs is astounding enough, and the primary reason why it passes unnoticed. Yes, the home of the São Paolo Symphonic Orchestra can said to be a treasure in the midst of a junk pile. But treasured it is, and if you want to add a taste of outstanding pizazz to your visit, you’d do well to score yourself a ticket to one of the many concerts held, every month, in the superb Great Hall. The city’s oldest art museum is considered one of the Brazil’s most important. 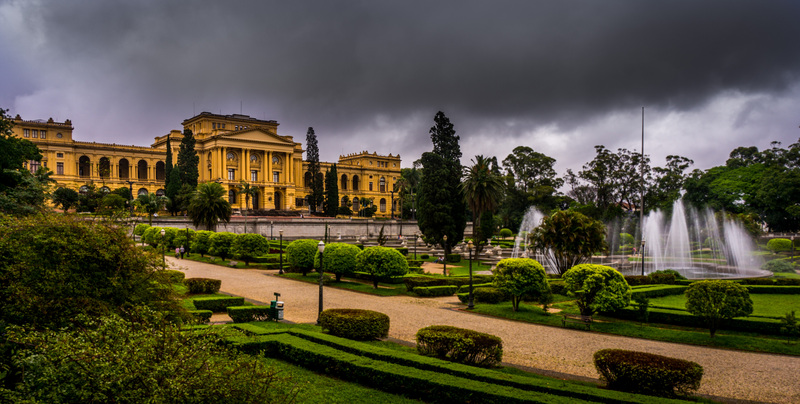 Built in 1905, the Pinacoteca do Estadio de São Paulo is home to a very vast collection of early 20th-century Brazilian sculptures and paintings and an impressive collection of international classic and modernist art. The building itself has been meticulously restored, and a visit to admire its architecture alone is a worthwhile venture. Interesting modernist sculptures, set out around the gorgeous gardens, complement the interior content rather well. The Theatro Municipal (São Paulo) is arguably the most striking looking theater in the city and, after undergoing major renovations in the last few decades, stands utterly resplendent on Ramos de Azevedo Square. Found right in the heart of Downtown, this is a marvellous theater in which to attend a show, whether it be of dance, music, or opera performances. This theater is absolutely world-class, both in acoustics and aesthetics, so if you don’t have time to catch a night-time show then do at least visit during the day and tour the opulent foyer and elegant café. If you’ve been to Rio de Janeiro before, you will know how multicultural Brazil really is, and how much of that is reflected in the food. 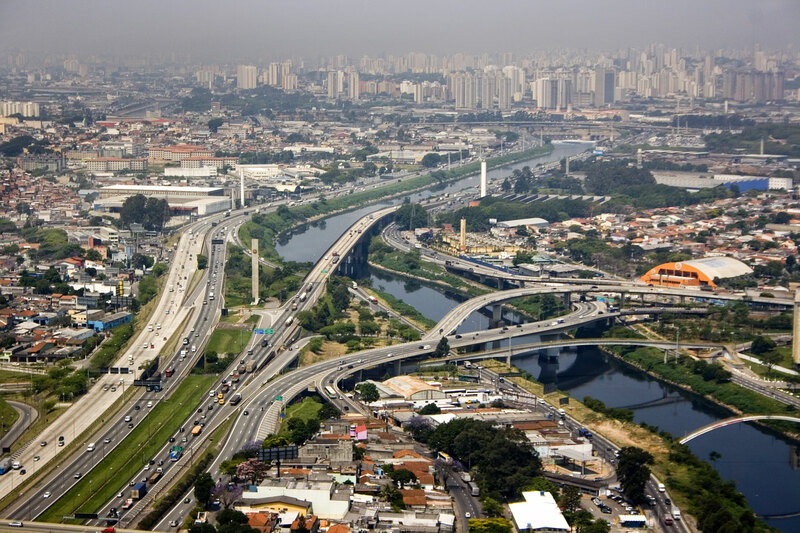 But let us tell you that the pseudo-capital of the country is nothing compared to São Paulo. Food, glorious food, just how Paulistas like it: delectable, of high quality, and in enormous portions. 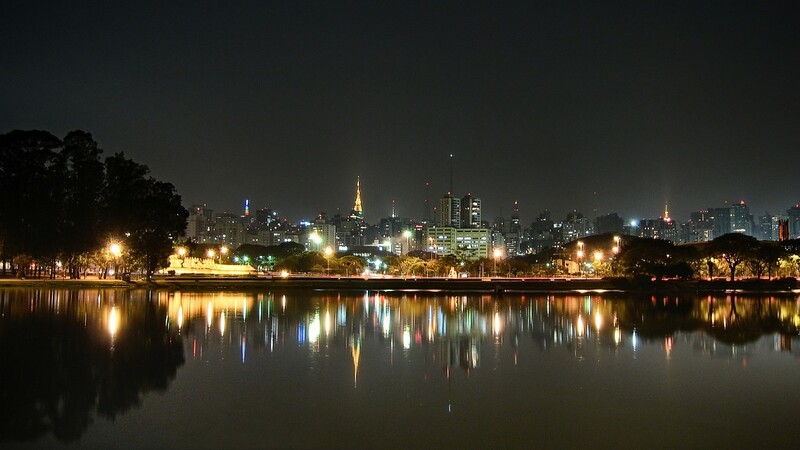 Enjoying a delicious meal in São Paulo is easy enough, no matter where you choose to stay, but if you want to savor the best treats in town, then take heed of the following recommendations. This central market on Rua de Cantareira is a feast for all the senses, where you’ll discover a world of deli items and fresh, organic produce displayed in stalls set among a striking building. The speciality here is the ‘mortadella sandwich’, the likes of which you’ll only ever find in Italy. For more international treats, head to Bellavista, where Italian masters have been baking up a storm here for over 100 years. Rodizios, the all-you-can-eat grill buffets, are as inherent in Brazilian culture as samba and football, and the favored Sunday feast for locals. For a truly epic meat gorging, head to the Avenida Angelica Grill, where you’ll experience an unforgettable (and challenging to digest!) upmarket dining experience. This Consolacao street is home to quite a few exceptional local eateries, so here is the best place to head to if you want to savor the two most popular national dishes: fejoada (a rice, pork, and black bean stew) and moqueca, a melt-in your-mouth fish casserole cooked for hours in creamy coconut milk. This is Brazilian comfort food at its very best. Head to these gardens on a Saturday and let your taste buds guide you through what is arguably the city’s best street food market. On offer here are superb pastry parcels (empanadas), filled with everything from prawns, to chicken, pork, beef, sweet potatoes, and jam and coconut. You’ll also find the famed mortadella sandwiches here, so if you can’t make it to Mercado Municipal, you won’t need to miss out on those either. Food is cheap, in small portions, and plentiful, so here you have the best chance to try a dozen local specialities without bursting both your wallet and your waistline. This exclusive corner of São Paulo is a great place to discover on a lazy afternoon, just the ideal time to go in search of a good cup of coffee, one of the most challenging ventures you’ll ever have in Brazil, if not all of South America. In what is probably the biggest irony of all, the world-famous best suppliers of coffee are left pitifully depleted of the best quality crops, as they are all almost immediately set for foreign export. Nevertheless, on Rua Fradique Coutinho you can find The Coffee Lab, a renowned coffee emporium (they even have their in-house coffee schools), which takes pride in serving mind-blowing mochas, espressos, and cappuccinos. This is São Paulo’s original rag trade headquarters, now home to the largest selection of Korean eateries in the whole continent. The city’s nightlife scenes are as varied (and spread out) as its dining scene, but thankfully some kind of consistency means that the same type of clubs and bars tend to group together in certain neighborhoods. Paulistanos are, by and large, much bigger show-offs than Rio’s natives, so here you’ll see them dressed up to the nines even if they’re just going to the movies. The upmarket chic crowd tends to gather in clubs around Downtown, where cashed-up locals don’t mind shelving out the big bucks to gain entry into one of the many opulent joints which seem to open and close at a head-spinning rate. 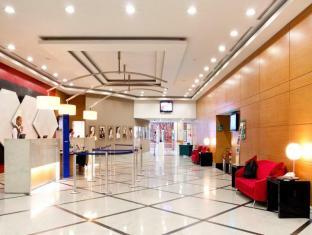 This is the place to be seen, where you can rub shoulders with supermodels and Brazil’s rich and famous. Naturally, be ready to pay through the roof for the privilege and don’t even think about showing up in jeans and sneakers. Rua Augusta, which used to be the trendiest part of town but fell out of favor with locals for a few years, seems to be making a comeback nowadays, with a smattering of trendy clubs (not all exorbitantly priced) opening up in recent years. For a much more laid back, bohemian scene, check out the new clubs which spring up regularly in Baixo Augusta, a suburb renowned as much for its antique stores as for its pop-up, trendy club nights. The weekly Guia de Folha is a fantastic printed and online guide which details the weekend attractions, including cabaret shows, clubs; bars, cinemas; operas, concerts; theater performances, and more. If you’re on a tight budget, look out for the section titled ‘e’ gratis’, where only free attractions are listed. If you wish to make the most of your night out, then we suggest you pick a great restaurant for dinner, and find a club, bar or theater nearby, lest you spend half your evening stuck in a cab trying to get half way around the city. Whatever you do in São Paulo, do make sure to end one of your days at the stunning Skye Bar, the rooftop bar of the Hotel Unique just north of Ibirapuera Park. The city views, from up here, are simply spectacular. Paulistanos take their fashion as seriously as they do their clubbing and the city displays an obsession with ‘shoppings’ (the local term for malls) which has very few rivals. The mega malls are out of this world, and even though imported brands are exorbitantly priced, when compared to Europe, Asia, and North America, they’re still a great attraction and definitely worth a look. Jardins has a great selection of upmarket boutiques and is the closest relative to Rodeo Drive you’ll find in the whole country. Rua Oscar Freire is home to hundreds of local designer haute couture boutiques, and each elegant store comes complete with metal detectors and armed guards. Heavy security notwithstanding, this is the best ‘window shopping’ destination in town. You’ll naturally find a wide selection of accommodation choices in every corner of São Paulo; in every one of its near-endless list of districts. 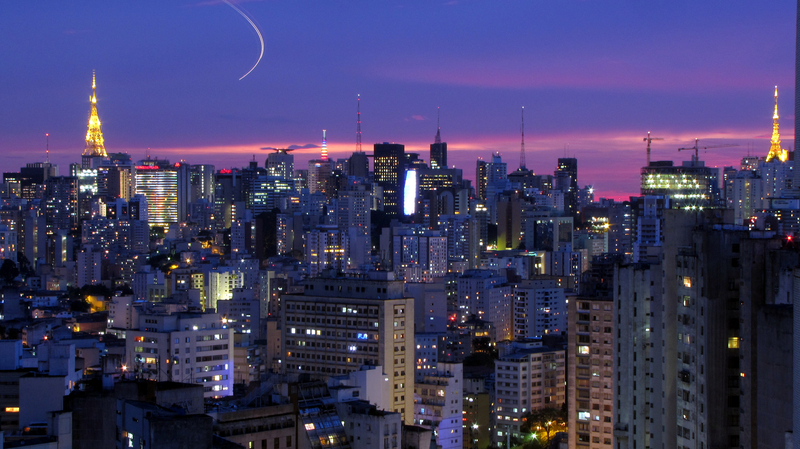 The most popular areas for tourists, however, are Downtown (the city’s most historic centre), South Central (home of the best shopping malls, upscale hotels and stunning parks), and West São Paulo the reputed best hub for trendy restaurants, bars, and nightclubs. 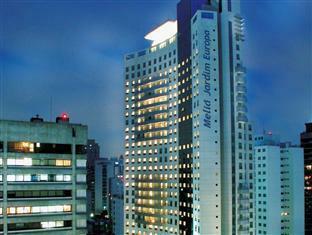 São Paulo is home to the largest airport in Brazil and is the country’s main aviation hub, followed closely by Rio de Janeiro. 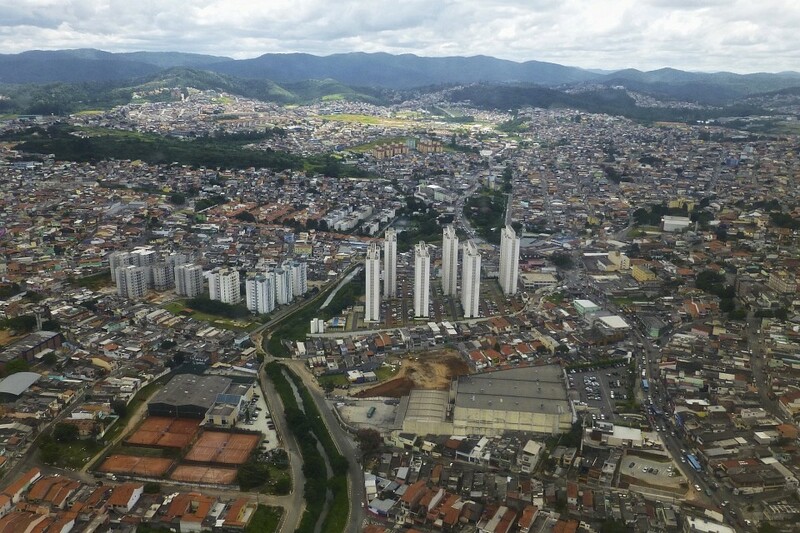 The Guarulhos International Airport connects the city to a myriad of international and domestic destination, so if you’re taking an internal flight do check your arrival airport carefully. The airport is about 20kms east of the city centre and boasts four large terminals, each one catering to specific destinations. Most flights from Rio, however, do arrive at the Congonhas Domestic Airport which is in the opposite end of the city’s centre. 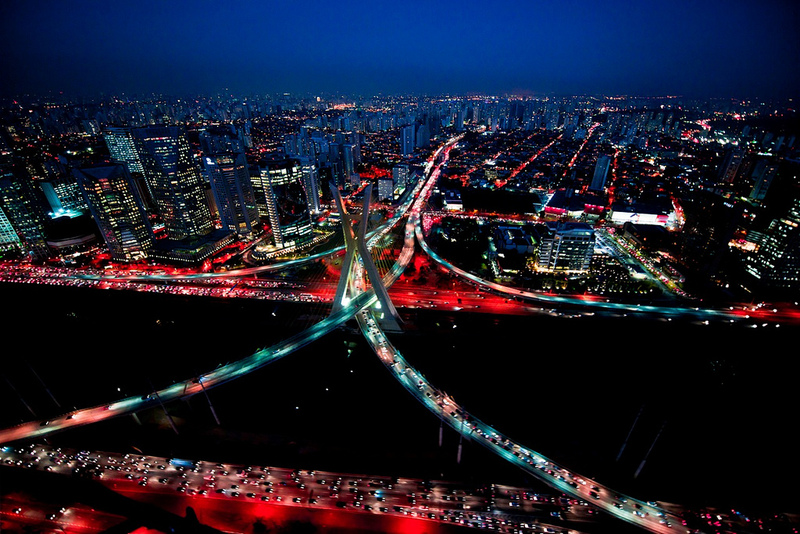 There’s no denying that the worst aspect about São Paulo is its nightmare-ish traffic conditions. To many visitors, it would seem that peak hour here runs 24 hours a day. Although taxi rides are not expensive per se, getting around on public transport is an infinitely less stressful, inexpensive, and much more convenient option. Like many cities the world over, São Paulo offers a contact-less smartcard (Bilhere Unico) which allows you passage on trains, buses, and the city’s subway. The card itself is free of charge and can be recharged at all newspaper stands, supermarkets, betting shops, and many other retailers. The Metro is the largest and most far-reaching in the country and will undoubtedly be your preferred choice, especially when you consider the fact that although the city boasts tens of thousands of buses, maps, and timetables for any of them are rare to find. Pick your Metro map at your closest stations and, if in doubt, choose a Metro-and-taxi combo to get to your intended destination.